Jiuquan: China launched two high-resolution optical remote sensing satellites into a preset orbit on Friday.The commercial satellites, Jilin-1 Video 07 and 08, were launched from the Jiuquan Satellite Launch Centre in northwest China at 12.12 p.m., Xinhua news agency reported. The satellites were independently developed by Chang Guang Satellite Technology Co Ltd and will provide remote sensing data and products for government as well as industry users in conjunction with the eight previously launched Jilin-1 satellites. In January 2017, Jilin-1 Video 03 was launched while Jilin-1 Video 04, 05, and 06 were put into predetermined orbits in November.In October 2015, four Jilin-1 commercial satellites were sent into space. Friday marked the fourth launch for the Jilin-1 satellite family and the satellites were carried by a Long March-11 rocket. This was the 264th mission of the Long March rocket series. 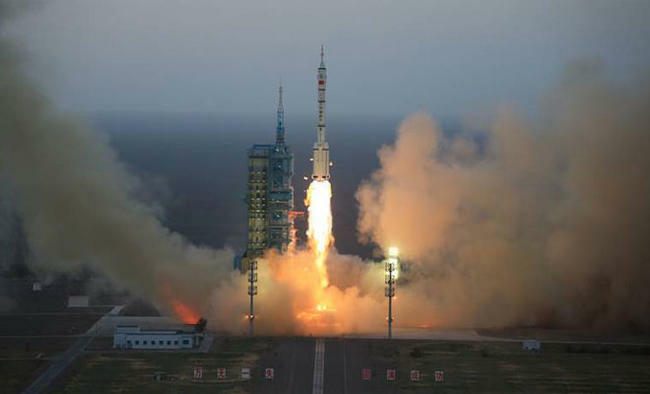 It was also the 100th aerospace launch mission carried out by the Jiuquan Centre. Established in 1958, the centre was China's first comprehensive and the only manned space launch facility.